On January 9, 2019, Smith Micro Software, Inc. (the Company) completed its previously announced acquisition of substantially all the assets, and certain specified liabilities, of the Smart Retail Division of ISM Connect, LLC (ISM), a Nevada limited liability company. The acquisition was completed to the terms and conditions of the Asset Purchase Agreement, dated as of December 17, 2018 (the Purchase Agreement) by and between the Company and ISM. to the terms of the Purchase Agreement, the Company paid an aggregate purchase price consisting of (i) Four Million Dollars ($4,000,000.00) in cash, less Twenty-Five Thousand Seven Hundred Fifty-Five Dollars ($25,755) to offset specified Assumed Liabilities, (ii) Four Million Eight Hundred Eighty-Seven Thousand Five Hundred Dollars ($4,887,500.00) in value of the Companys common stock based on the Closing Share Price as defined in the Purchase Agreement, totaling 2,294,601 shares of common stock (the Initial Shares), and (iii) Eight Hundred Sixty-Two Thousand Five Hundred Dollars ($862,500.00) in value of the Companys common stock based on the Closing Share Price as defined in the Purchase Agreement, totaling 404,930 shares of common stock (the Escrow Shares), to be held in escrow to an Escrow Agreement executed by and among the Company, ISM and Computershare Trust Company, N.A., as escrow agent (the Escrow Agreement). The number of Initial Shares and Escrow Shares was determined based on the average closing price of the Companys common stock as reflected on Nasdaq.com for the twenty (20) trading days prior to the date of the Purchase Agreement, rounded to the nearest whole cent. The Company has agreed to register the Initial Shares and Escrow Shares for resale with the Securities and Exchange Commission to customary registration rights. The Purchase Agreement contains customary representations, warranties, covenants and indemnities by the parties. The foregoing description of the Purchase Agreement does not purport to be complete and is qualified in its entirety by the full text of the Purchase Agreement, a copy of which was filed as Exhibit 2.1 to the Companys Current Report on Form 8-K filed with the SEC on December 18, 2018 and is incorporated herein by reference. The Purchase Agreement governs the contractual rights between the parties in relation to the purchase and sale of the assets. The Purchase Agreement was filed as an exhibit to the Companys Current Report on Form 8-K filed with the SEC on December 18, 2018 to provide information regarding the terms thereof and is not intended to provide, modify or supplement any information about the Company, ISM or any of their respective subsidiaries or affiliates, or their respective businesses. In particular, the Purchase Agreement is not intended to be, and should not be relied upon as, disclosures regarding any facts and circumstances relating to the Company or ISM. The representations and warranties contained in the Purchase Agreement have been negotiated with the principal purpose of allocating risk between the parties, rather than establishing matters as facts. The representations and warranties may also be subject to contractual standards of materiality that may be different from those generally applicable under the securities laws. For the foregoing reasons, the representations and warranties should not be relied upon as statements of factual information. to the Purchase Agreement, the Company issued an aggregate of 2,699,531 shares of its common stock to ISM as consideration in the acquisition, with 404,930 of such shares being held in escrow to the terms of the Escrow Agreement.Such shares were issued to exemptions from registration provided by Section 4(a)(2) and/or the private offering safe harbor provisions of Regulation D of the Securities Act of 1933, as amended, based on the following factors: (i) the number of offerees, (ii) the absence of general solicitation, (iii) investment representations obtained from ISM, including with respect to its status as an accredited investor, (iv) the provision of appropriate disclosure, and (v) the placement of restrictive legends on the certificates or book-entry notations reflecting the securities. On January 9, 2019, the Company issued a press release announcing the acquisition, which is furnished as Exhibit 99.1 hereto. 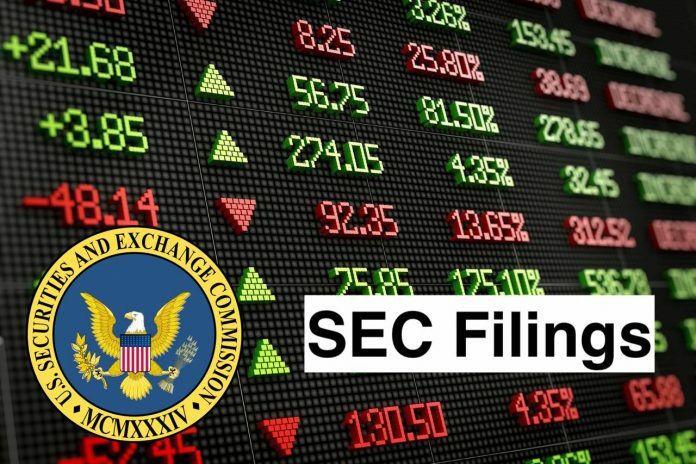 The information in Exhibit 99.1 shall not be deemed filed for the purposes of Section 18 of the Securities Exchange Act of 1934, as amended, or otherwise subject to the liabilities of that section. The Company undertakes to file the financial statements required by this Item 9.01(a) by amendment not later than 71 days after the date this Form 8-K was due to be filed. The Company undertakes to file the pro forma financial information required by this Item 9.01(b) by amendment not later than 71 days after the date this Form 8-K was due to be filed. * Schedules and exhibits have been omitted to Item 601(b)(2) of Regulation S-K. The Company hereby undertakes to furnish copies of any of the omitted schedules and exhibits upon request by the SEC. Smith Micro Software, Inc. is a provider of software solutions. The Company operates through two segments: Wireless and Graphics. The Company offers multi-platform, modular solutions organized into three product families, including NetWise, CommSuite and QuickLink. For mobile network operators, NetWise helps reduce cellular congestion and optimize data traffic across third-generation (3G), fourth-generation (4G) and wireless fidelity (Wi-Fi) networks. Graphics segment includes its consumer-based products, such as Poser, Anime Studio, Manga Studio, MotionArtist and StuffIt. The Graphics segment develops a range of software, including graphic design and animation, compression and personal computer (PC)/Mac utilities, for consumers, professional artists and educators. The Company also offers Family Safety platform for family locator and parental controls.